Please excuse any mistakes as my English is not very good. There are no spoilers in this review. 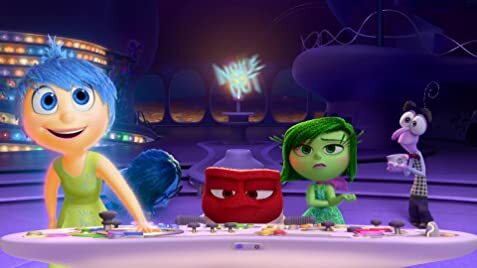 I had the pleasure of seeing 'Inside Out' at the Cannes Film Festival and I must say it was wonderful and a huge step-up from Pixar's recent efforts. The trailers don't really do it justice. The story may seem complicated for younger viewers, but the way Pixar tells the story fits for both adults and children. The pacing is in the vein of Wall-E, and in that sense it is very much a film for adults as it is for kids (like most Pixar movies). The story here is surprisingly raw and emotional, one that has very deep underlying themes that adults will connect with. Many of the audience members were crying at the end. It has one of the most original stories for an animation in the last few years, and I believe many people (especially adults) will form a connection to it. Speaking of animation, the film is breathtakingly beautiful. There is a nice contrast of colors that make it look vibrant, like Pixar's 'UP'. The voice cast did a wonderful job and you couldn't ask for better direction from Pete Doctor and co. I cannot wait to see this a second time with family and friends. Highly recommended. PS: The short that played before the film, 'Lava', was also beautiful. It was sort of a musical, and it was quite funny and clever. The audience even applauded at the end of it, myself included. 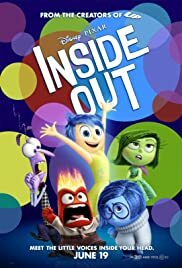 In that sense, it provides the entire package a nice balance of joy and laughter (Lava) followed by deep storytelling and emotion (Inside Out). 129 of 269 people found this review helpful. Was this review helpful to you?